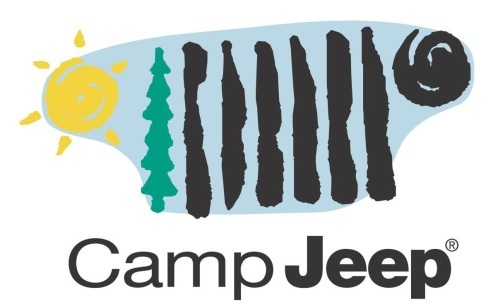 For those of you traveling to the New York International Auto Show this week, be sure to stop over at “Camp Jeep Outdoor”. Auto show attendees will have the opportunity to traverse fallen logs measuring 15 inches in diameter and drive over two 30-degree articulation wedges. The Camp Jeep outdoor test track is comprised of several obstacles which simulate the rigorous testing that Jeep vehicles endure such as rugged terrain, ground clearance, traction, stability, maneuverability and unchallenged articulation. Participants will be automatically entered into the 2013 Chrysler Group National Giveaway for a chance to win $45,000 towards any eligible Chrysler Group vehicle. One of the most unique and thrilling ride-along experiences to make an appearance in New York City, Camp Jeep is a 5 minute, interactive, tail-rated adventure zone where professional 4×4 drivers allow riders to get a feel for the full capabilities of a Jeep Grand Cherokee, Jeep Wrangler Rubicon and Unlimited model, while teaching them how to drive safely on off-road terrain. A “can’t miss” hill climb will give passengers a sense of the traction capabilities of a Jeep vehicle, as they climb the iconic 18-ft high, 35 degree angle Jeep Mountain. Register for the Camp Jeep experience at the designated Jeep exhibit during public show hours. During the Camp Jeep ride, participants will be accompanied by highly trained product specialists. For additional product information, please visit Jeep’s website or Chrysler. Friday, March 29th through Saturday, March 30th- 10:00 a.m. – 10:00 p.m.
Saturday, March 31st – 10:00 a.m. – 7:00 p.m.
Monday, April 1st through Saturday, April 6th -10:00 a.m. – 10:00 p.m.
Sunday, April 7th – 10:00 a.m. – 7:00 p.m.